How Can Musical Theatre Help Change Our World? As a teacher and musical theater director, I have found myself struggling. I am turning on my television, going on Facebook, or browsing the internet and seeing so many discouraging things out there. How do we explain this to children? How do we teach them to be better human beings with compassion, humility, and understanding? What can we do as musical theater educators and community theater programs? Many theater directors/educators teach and tell their students to take a chance when they are acting. We should do the same thing as directors or producers when we cast shows. As a fifteen-year theater educator, I can tell you that some of my greatest successes were the ones I took the biggest risks on. By taking chances on your casting, you are starting a conversation with your cast, leading by example, and teaching about a director’s vision and goals. I have been lucky to attend the Junior Theater Festival in Atlanta, Georgia the last few years and have been fortunate to see some amazing individual performances. Those performances were brought about by teachers/directors taking chances. They noticed that a role sparked an interest in a student or cast member and it intrigued the director to the point where they had to see what the actor could do with that part and a bit of coaching. I have been fortunate to talk to some of these directors and I am amazed at the students’ backstories. These students have a variety of backstories that would rival the shows we produce on stage. There are some students who are in special education/needs classes, who have an illness, or poor family lives and theater has become their outlet, and has saved them in some way. Many times we get caught up in “producing the show” rather than influencing and developing new young talent. If we dig a bit and roll up our sleeves, take a little more time working with all of the students, and bring them along in a system, we can show kids how each of them matter and are important to the ensemble. But more importantly, we are creating an environment that stimulates and rewards actors who are attempting to challenge themselves. Why not pick a show that directly or indirectly addresses concerns about our society? What you could do is discuss it with your administration/board of directors, social studies teachers, guidance counselors, and community leaders. We can unify students and a community by incorporating talkbacks and workshops to educate them on how the show is conceived and personal experiences that influenced the show. 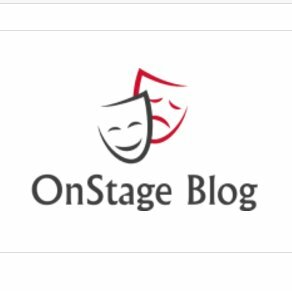 One thing that both community theater and school theater programs get wrong is that they do not take the time to open a dialogue with internal and external organizations when they perform a show that could be controversial and discuss it. Before you say it, I know, some of you cannot do things that are controversial. Think outside of the frame. You do not have to do Rent or Hedwig and the Angry Inch to get a point across. Look back at classic Broadway shows/plays, or even Off-Broadway ones as well. Musical theater has been tackling these issues for decades. Remember, there are shows that tackle most, if not all the issues that face society now. You could examine shows like Show Boat, Hairspray, South Pacific, Miss Saigon, Heathers, La Cage aux Folles, and Finian’s Rainbow for starters. Sometimes it just takes some creativity and stepping out on the ledge and trying things that will challenge you to make the community you are involved with better. There has been a lot of controversies recently about minority casting, and show “whitewashing”. Examples of this practice range from theater (regional productions of In the Heights and Aida in the U.K.), through TV (Iron Fist), and in film (Aloha, Ghost in a Shell). Often times it’s not done to disrespect Asian cultures, moreover, it just was not considered, or ticket sales triumphed over accuracy. I remember going to see Miss Saigon as a kid and Jonathan Pryce played the Engineer in “yellow face”. As a kid I did not understand the ramifications at the time, but now, as an adult, I feel it is a relevant subject that should be discussed more often. Regional community theaters and schools have to do a better job of advertising and marketing their shows if they want a more diverse audience. I totally understand that as community theaters you want to produce popular shows that will sell out theaters, but when you are advertising for casting, how are you going about advertising your cast calls? Are you going out to the neighborhoods and putting up fliers or advertising for minority actors? Are you placing ads in multiple languages and media forums? Have you given your target audience some historical background to draw interest from? Think about Hairspray, The Color Purple, Miss Saigon, The King and I, Allegiance, and Aida. Could you really do any of those shows without minorities playing key roles? Would the story you wish to tell be as powerful without them? You could do it, if you got creative, but you also have to inform the audience as well. If you think about it, you will expand your theater’s reach into more minority groups and various diversities. In schools, you will reach a larger part of the school’s social demographics and inspire more children to be a part of theater if you produce and cast more musicals/plays that showcase minorities. Just because you have a solidly consistent group of actors or actresses does not mean that you should be making them your leads repetitively. Take a chance, work a bit harder, and reap greater rewards because you are stepping on that ledge with your ensemble. Remember earlier this year when Hamilton had some backlash because their casting call asked for “non-white” actors? I will admit I was totally amused by this because it has been pretty standard that white actors or actresses play most of the lead roles. Recently, we have seen non-traditional casting in the spotlight due to Hamilton’s mega success. If you have taught theater education at any level then you have done non-traditional casting when your forty girls had to play male roles in the musicals. What would be interesting is changing up the casting more or putting spins on the shows (after you have cleared them with the rights holders). Right now theater audiences are as diverse as they ever have been and that will continue. If you come to Broadway right now you will find countless shows with minority leads or large minority casts. That needs to continue, and in fact grow, down to regional, community, and school theater. Again, if you find ways to justify and create opportunities, you will open doors to new pockets of actors and audiences to become active patrons and supporters of your program. I think that Lin Manuel Miranda made a profound statement when he was asked why have minorities play the Founding Fathers. His answer “This is the story of America then told by America now.” That is the answer to why we should non-traditionally cast shows. We can tell the story through a new lens. American musical theater is a reflection of America itself. It has been in the forefront of pointing out the negative and the positive in our nation’s history. But we have to realize there are so many more stories to be told (and some of them are not pretty). There are stories of triumph in front of unspeakable odds and there are stories of finding the strength to continue when so much around you is telling you to give up. Theater constantly tries to better itself and the world around it. If we consider ourselves truly artists, whether it is a producer, director, actor, etc., then we must explore all aspects of human nature. In order to do that, we need to step in another person’s shoes. We need to continue seeing the spark in others and encouraging them by teaching them, just as many of us were taught as kids. We can pick shows that engage our communities and students the social discussion and have programs that will help people understand the historical nature of those pieces. We can advertise and find new ways of drawing in people who may enjoy theater but do not hear casting calls in the traditional way. Let’s find new ways to use non-traditional casting to bring new perspectives and views to roles. In the end, what we do can change the world by tackling the issues that affect us right now and cause thoughtful and meaningful discussion.